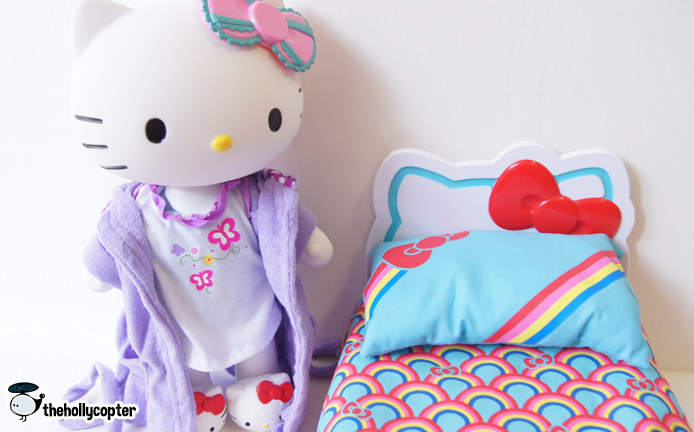 Recently I saw that Target had some new Hello Kitty toys and MAN are they adorable! 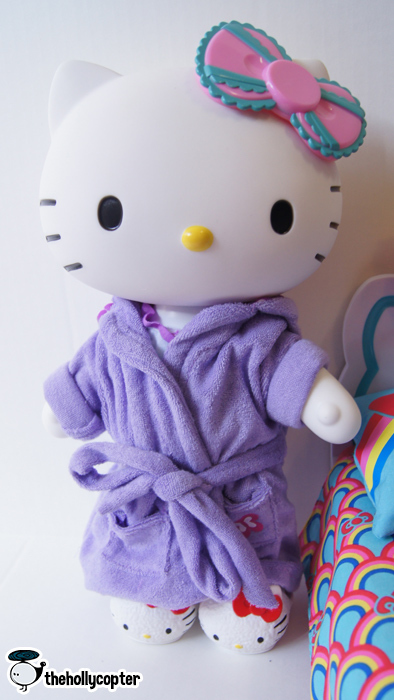 Of course Target always has a slew of Hello Kitty items from gumball machines, to microwaves, to safes – but what I really care about are the cute little toys! I saw this little cutie (actually not at Target but the grocery store oddly enough) and I think she’s fab! 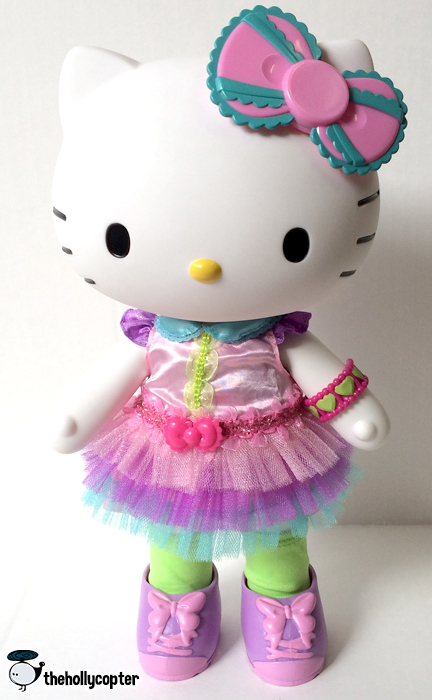 There are other versions available like Dance, Pop, and Best Friends but I chose this Princess one for her fun dress and bow! 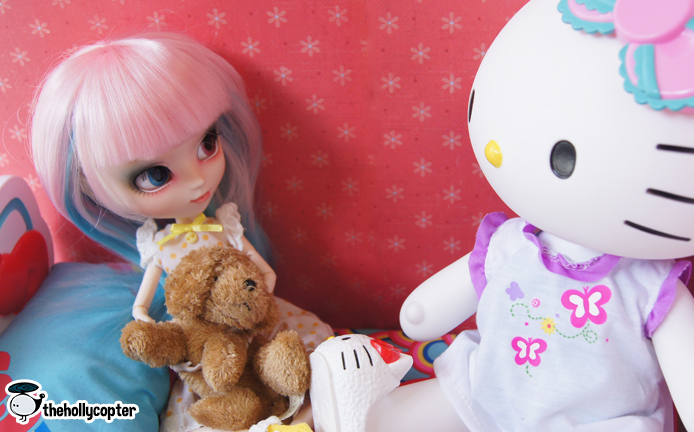 They are 13″ posable dolls and are by the brand Blip. She came with everything pictured as well as a tiara that I removed. She’s quite posable, her head turns almost 360 degress and she can go into a full seated position. The bed is SO CUTE! 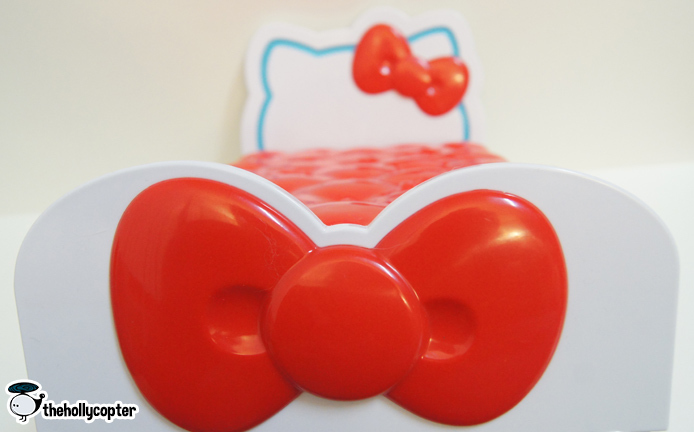 It has an adorable bow on the end, HK head on the headboard and there are even bows on the mattress (everything is hard plastic). 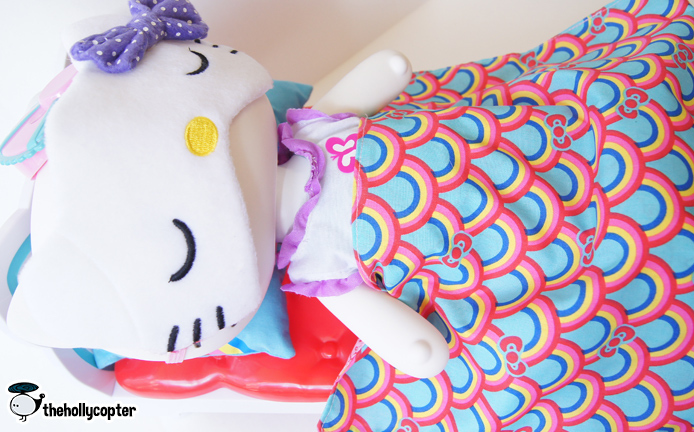 The sheet it comes with is reversible and the pillow is so cute and soft. The bed also came with slippers and an alarm clock. I wish it came with PJ’s, but it didn’t, so I ended up buying this My Life doll clothes set at Walmart that came with a shirt (it works best as a nightie on her), shorts, the robe and some purple slippers. The robe is a bit big and I had to roll up the sleeves but overall I think it looks pretty cute. Better than going to bed in a princess dress! I even had a HK sleep mask that fit! I love how it makes her look like she’s sleeping! 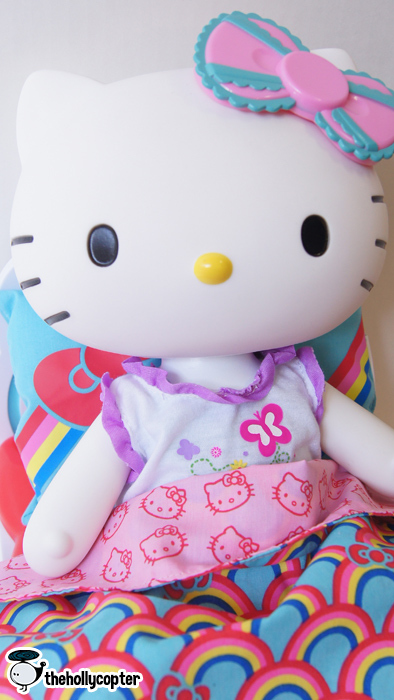 Since Hello Kitty doesn’t have a lot of movement, she doesn’t fit in the bed super well and there’s a large gap between her upper body and the bed. It works well enough though. Of course Sophie had to take a turn in the bed as well. 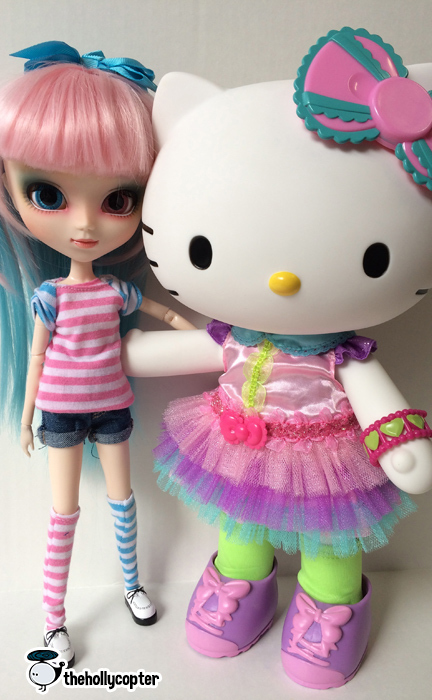 It fits Pullips very well. The dolls are available at Target and retail for $24.99.